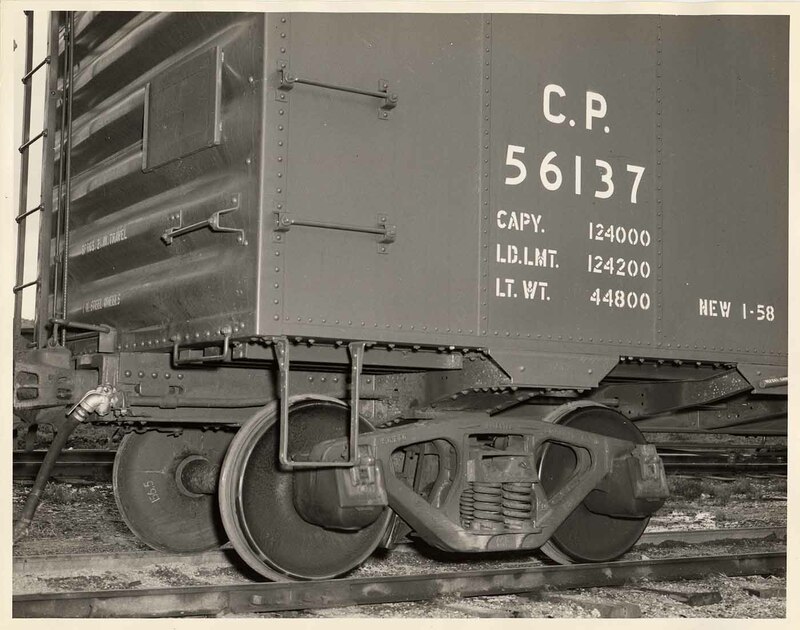 Photograph depicts a Candian Pacific Railroad train car. 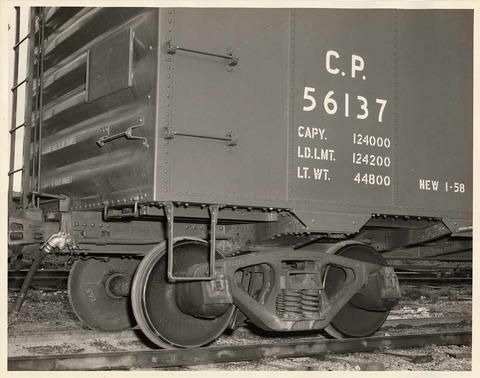 Close up, ground level view of round, iron wheel mechanism attached to underside of train car; printing on train car reads "C.P. 56137", "CAPY. 124000", LD.LMT 124200", "LT. WT. 44800", "NEW 1-58"; ladder and hose attached to back of train car.